We’ve expanded our StarClear® line of ultra-clear thermoplastic elastomer (TPE) materials. StarClear® TPEs have a high degree of clarity, formulated for any application that requires excellent transparency, soft touch, and the highest quality of colorability. 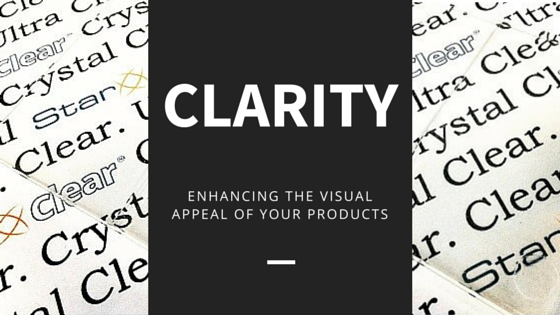 “Clarity can be one of the most important characteristics of many products. Our StarClear® line of thermoplastic elastomers allow tremendous flexibility in product designs that enhance visual appeal while at the same time provide tremendous performance,” said Jennifer Tomes, Marketing Director at Star Thermoplastics. StarClear® TPEs are designed for performance and maximum visual impact. They can improve haptics where there is an ergonomic need for enhanced grip, soft touch, and improved feel. The grades available can be processed using standard processing techniques, including bonding to PP, and can be used in complex part configurations. In addition to their transparency and ability to bond to rigid polypropylene substrates, StarClear® TPE products have excellent aesthetics and durability, as well as considerable low-temperature flexibility. They can also be formulated for FDA compliance, offering an alternative to silicone and PVC for a product that is easily processed and free of latex and phthalates, giving you attractive, long lasting products that can be used in a multitude of environments. StarClear® is available in several different grades and hardnesses, including Shore A hardness values of 25, 35, 40 and 50. There are also very soft clear gels with Shore A hardness values of 3, 7, and 15. The clarity of the material and wide range of properties available make it an excellent candidate for use in consumer product designs, home appliances, toys, electronics, transportation, and many other applications. 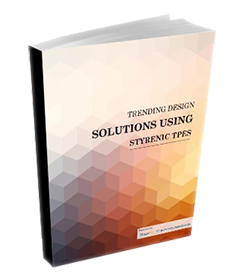 TPEs are recognized by their soft or ergonomic feel. The average person uses a TPE five times before lunch, in items such as toothbrush handles, gel shoe insoles, gaskets, scissors, non-slip cutting board feet, handle grips (knives, bicycles, golf, tools), weatherstripping, control panel buttons, pen grips, and more. Check out the StarClear® Product Page for more information or contact us today.